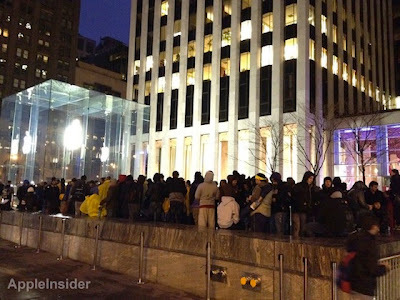 As with all iPad launches, people again lined-up outside Apple store to get their hands on the new device from Apple. Lines were formed in front of Apple flagship stores in Australia, Japan, Hong Kong, Singapore, UK, France, Germany, Switzerland and US. 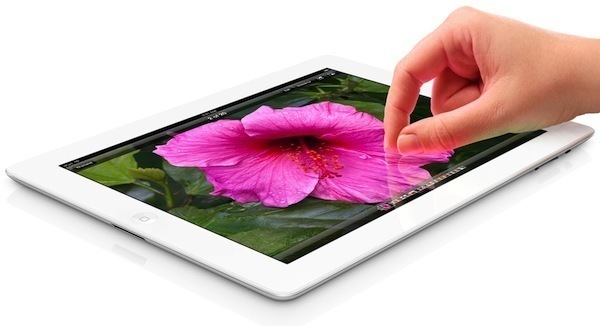 Apple announced the new third generation iPad featuring the stunning Retina display, A5X processor with quad-core graphics, 5-megapixel camera, 1080p video recording and 4G LTE support on March 7th 2012. 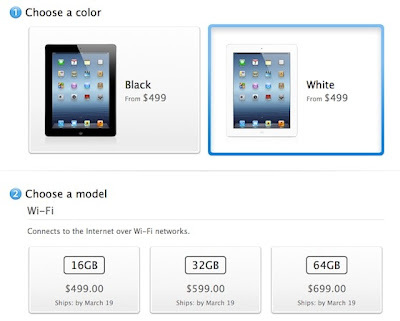 The new iPad with Retina display is shipping now with a price range of $499 to $829 depending on storage and wireless configuration. 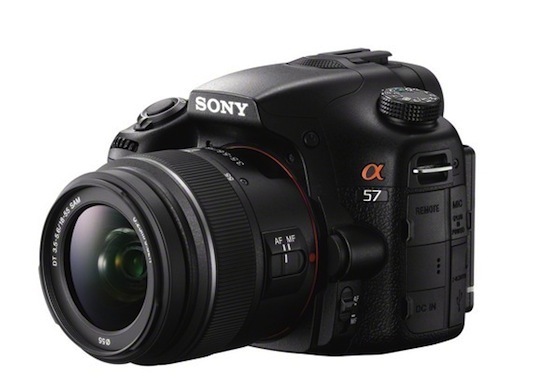 Sony today introduced new Alpha A57 digital SLR featuring Translucent Mirror technology that directs incoming light to the CMOS image sensor and the AF sensor at the same time, allowing full-time continuous AF during both still and video shooting. A successor to A55 camera, the new A57 also includes high-resolution Tru-Finder electronic viewfinder, which offers a wide viewing angle and 100% field of view. A Vietnamese website Tinh.te has posted Geekbench test results of new the iPad. The benchmark results revealed that Apple is using the same ARMv7 CPU running at 1.00GHz found on iPad 2, but the new chip has double the RAM at 988MB. 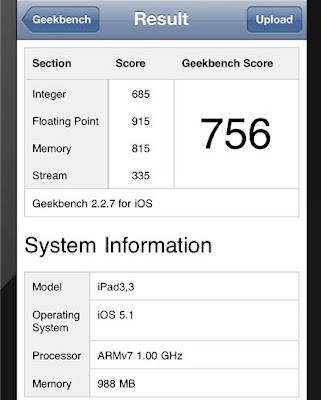 However, as feared by many the Geekbench score showed no CPU performance improvement over previous generation iPad.